Despite the film’s great cast, and such a ‘thinking-outside-the-box’ director as Steve McQueen, I am still a little bit worried about it. The plot is far from being original, and this may put some people off. Have not we already seen something like this a dozen or so times, besides reading about it? (e.g. ‘Uncle Tom’s Cabin’ and ‘The Colour Purple’). And, we do not have to go far to recall that: just last year we saw two films dealing with the same theme – Steven Spielberg’s ‘Lincoln’ and Quentin Tarantino’s ‘Django Unchained’. There will also inevitably be comparisons between this film and such films as ‘Amistad’ (1997) and ‘Amazing Grace’ (2006). On the other hand, this is not a Steven Spielberg film. This is a Steve McQueen’s film. This means that, hopefully, we will see something more than Tarantino’s types of violence and inspirational speeches in the spirit of ‘Amazing Grace’. 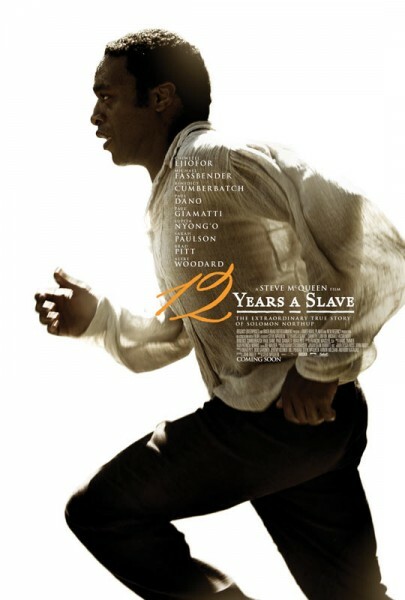 McQueen himself said that ’12 Years a Slave’ will be his most violent film so far, but as with his previous work (‘Hunger’, ‘Shame’), I would also like to see some thought-provoking elements and moral dilemmas in ‘12 Years a Slave’. In other words, I hope McQueen would provide the same depth of topic as we have seen in his previous work. There allegedly be the scene in the film where Edwin Epps, the cruel plantation owner, will force Solomon to whip other slaves. Whether Solomon would comply with his request is yet to be seen. Another interesting thing to observe in ‘12 Years a Slave’ will be Michael Fassbender. His previous roles involved the portrayal of relatively benign and good-willed characters, and it will be very interesting to watch how he would handle such a despotic, cruel and ruthless persona as Edwin Epps. In ‘Jane Eyre’ (2011), Fassbender showed that he can portray a very distant and aloof character with great success. In ‘Shame’, we also saw ‘his’ fits of anger, and it would be interesting to see him taking this onto the next level in this film. All in all, ‘12 Years a Slave’ is definitely a film to have in mind for the next season’s viewings because, although for some it may appear like some prequel to ‘Django Unchained’, Steve McQueen is a director who likes to tackle controversial issues with openness which is nothing less than extremely brave, and, thus, hopefully, we will see something really special here. For my list of ‘human rights’ themed films see here. Pretty excited about this. Thanks for sharing man! Yes! I’m really excited about this movie, it looks absolutely phenomenal. It doesn’t come out in the UK until January though. Bad times for me. Looking forward to this myself… 🙂 I like Steve McQueen’s work.